"RDY" redirects here. For the radar system, see Radar Doppler Multitarget. Dr. Reddy's Laboratories is an Indian multinational pharmaceutical company based in Hyderabad, Telangana, India. The company was founded by Anji Reddy, who previously worked in the mentor institute Indian Drugs and Pharmaceuticals Limited, of Hyderabad, India. Dr. Reddy's manufactures and markets a wide range of pharmaceuticals in India and overseas. The company has over 190 medications, 60 active pharmaceutical ingredients (APIs) for drug manufacture, diagnostic kits, critical care, and biotechnology products. By 2007, Dr. Reddy's had seven FDA plants producing active pharmaceutical ingredients in India and seven FDA-inspected and ISO 9001 (quality) and ISO 14001 (environmental management) certified plants making patient-ready medications – five of them in India and two in the UK. In 2010, the family-controlled Dr Reddy's denied that it was in talks to sell its generics business in India to US pharmaceutical giant Pfizer, which had been suing the company for alleged patent infringement after Dr Reddy's announced that it intended to produce a generic version of atorvastatin, marketed by Pfizer as Lipitor, an anti-cholesterol medication. Reddy's was already linked to UK pharmaceuticals multinational Glaxo Smithkline. Within a year, Reddy's became the first Indian company to export the active ingredients for pharmaceuticals to Europe. In 1987, Reddy's started to transform itself from a supplier of pharmaceutical ingredients to other manufacturers into a manufacturer of pharmaceutical products. The company's first international move took it to Russia in 1992. There, Dr. Reddy's formed a joint venture with the country's biggest pharmaceuticals producer, Biomed. They pulled out in 1995 amid accusations of scandal, involving "a significant material loss due to the activities of Moscow's branch of Reddy's Labs with the help of Biomed's chief executive". Reddy's sold the joint venture to the Kremlin-friendly Sistema group. In 1993, Reddy's entered into a joint venture in the Middle East and created two formulation units there and in Russia. Reddy's exported bulk drugs to these formulation units, which then converted them into finished products. 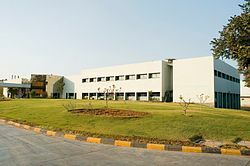 In 1994, Reddy's started targeting the US generic market by building state of art manufacturing facility. Reddy's path into new drug discovery involved targeting speciality generics products in western markets to create a foundation for drug discovery. Development of speciality generics was an important step for the company's growing interest in the development of new chemical entities. The elements involved in creating a speciality generic, such as innovation in the laboratory, developing the compound, and sending the sales team to the market, are also stages in the development of a new specialty drug. Starting with speciality generics allowed the company to gain experience with those steps before moving on to creating brand-new drugs. Reddy's invested heavily in establishing R&D labs and is the only Indian company to have significant R&D being undertaken overseas. Dr. Reddy's Research Foundation was established in 1992 and in order to do research in the area of new drug discovery. At first, the foundation's drug research strategy revolved around searching for analogues. Focus has since changed to innovative R&D, hiring new scientists, especially Indian students studying abroad on doctoral and post-doctoral courses. In 2000, the Foundation set up an American laboratory in Atlanta, dedicated to discovery and design of novel therapeutics. The laboratory is called Reddy US Therapeutics Inc (RUSTI) and its main aim is the discovery of next-generation drugs using genomics and proteomics. Reddy's research thrust focused on large niche areas in western markets – anti-cancer, anti-diabetes, cardiovascular and anti-infection drugs. By 1997, Reddy's made the transition from being an API and bulk drug supplier to regulated markets like the US and the UK, and a branded formulations supplier in unregulated markets like India and Russia, into producing generics, by filing an Abbreviated New Drug Application (ANDA) in the USA. The same year, Reddy's out-licensed a molecule for clinical trials to Novo Nordisk, a Danish pharmaceutical company. It strengthened its Indian manufacturing operations by acquiring American Remedies Ltd. in 1999. This acquisition made Reddy's the third largest pharmaceutical company in India, after Ranbaxy and Glaxo (I) Ltd., with a full spectrum of pharmaceutical products, which included bulk drugs, intermediates, finished dosages, chemical synthesis, diagnostics and biotechnology. Reddy's also started exploiting Para 4 filing as a strategy in bringing new drugs to the market at a faster pace. In 1999 it submitted a Para 4 application for omeprazole, the drug that had been the cornerstone of its success in India. In December 2000, Reddy's had undertaken its first commercial launch of a generic product in the US, and its first product with market exclusivity was launched there in August 2001. The same year, it also became the first non-Japanese pharmaceutical company from the Asia-Pacific region to obtain a New York Stock Exchange listing, ground-breaking achievements for the Indian pharmaceutical industry. In 2001 Reddy's became the first Indian company to launch the generic drug, fluoxetine (a generic version of Eli Lilly and Company’s Prozac) with 180-day market exclusivity in the USA. Prozac had sales in excess of $1 billion per year in the late 1990s. Barr Laboratories of the U.S. obtained exclusivity for all of the approved dosage forms (10 mg, 20 mg) except one (40 mg), which was obtained by Reddy's. Lilly had numerous other patents surrounding the drug compound and had already enjoyed a long period of patent protection. The case to allow generic sales was heard twice by the Federal Circuit Court, and Reddy's won both hearings. Reddy's generated nearly $70 million in revenue during the initial six-month exclusivity period. With such high returns at stake, Reddy's was gambling on the success of the litigation; failure to win the case could have cost them millions of dollars, depending on the length of the trial. The fluoxetine marketing success was followed by the American launch of Reddy's house-branded ibuprofen tablets in 400, 600 and 800 mg strengths, in January 2003. Direct marketing under the Reddy's brand name represented a significant step in the company's efforts to build a strong and sustainable US generic business. It was the first step in building Reddy's fully-fledged distribution network in the US market. In 2015, Dr. Reddy's Laboratories bought the established brands of Belgian drugmaker UCB SA in South Asia for 8 billion rupees ($128.38 million). Dr. Reddy's Laboratories also signed a licensing pact with XenoPort for their experimental treatment to treat plaque psoriasis. As per the agreement, Dr. Reddy's will be granted exclusive US rights to develop and commercialize XP23829 for all indications for an upfront payment of $47.5 million. In 2001 Reddy's completed its US initial public offering of $132.8 million, secured by American Depositary Receipts. At that time the company also became listed on the New York Stock Exchange. Funds raised from the initial public offering helped Reddy's move into international production and take over technology-based companies. In 2002, Reddy's started its European operations by acquiring two pharmaceutical firms in the United Kingdom. The acquisition of BMS Laboratories and its wholly owned subsidiary, Meridian UK, allowed Reddy's to expand geographically into the European market. In 2003 Reddy's also invested $5.25 million (USD) in equity capital into Bio Sciences Ltd.
Auriegene Discovery Technologies, a contract research company, was established as a fully owned subsidiary of Reddy's in 2002. Auriegene's objective was to gain experience in drug discovery through contract research for other pharmaceutical companies. Reddy's entered into a venture investment agreement with ICICI Bank, an established Indian banking company. Under the terms of the agreement, ICICI Venture agreed to fund the development, registration and legal costs related to the commercialization of ANDAs on a pre-determined basis. Upon commercialization of these products, Dr. Reddy's pays ICICI Venture royalty on net sales for a period of 5 years. The company elected to expand globally, and acquired other entities. In March 2002, Dr. Reddy's acquired BMS Laboratories, Beverley, and its wholly owned subsidiary Meridian Healthcare, for 14.81 million Euros. These companies deal in oral solids, liquids and packaging, with manufacturing facilities in London and Beverley in the UK. Recently, Dr. Reddy's entered into an R&D and commercialization agreement with Argenta Discovery Ltd., a private drug development company based in the UK, for the treatment of chronic obstructive pulmonary disease (COPD). Dr. Reddy's entered into a 10-year agreement with Rheoscience A/S of Denmark for the joint development and commercialization of Balaglitazone (DRF-2593), a molecule for the treatment of type-2 diabetes. Rheoscience holds this product's marketing rights for the European Union and China, while the rights for the US and the rest of the world will be held by Dr. Reddy's. Dr. Reddy's conducted clinical trials of its cardiovascular drug RUS 3108 in Belfast, Northern Ireland, in 2005. The trials were conducted to study the safety and the pharmacokinetic profiles of the drug, which is intended for the treatment of atherosclerosis, a major cause of cardiovascular disorders. Dr. Reddy's entered into a marketing agreement with Eurodrug Laboratories, a pharmaceutical company based in Netherlands, for improving its product portfolio for respiratory diseases. It introduced a second-generation xanthine bronchodilator, Doxofylline, which is used for the treatment of asthma and COPD patients. In 2004, Reddy's acquired Trigenesis Therapeutics Inc; a US-based private dermatology company. This acquisition gave Reddy's access to proprietary products and technologies in the dermatology sector. Dr. Reddy's Para 4 application strategy for generic business received a severe setback when Reddy's lost the patent challenge in the case of Pfizer’s drug Norvasc (amlodipine maleate), a drug indicated for the treatment of hypertension and angina. The cost involved in patent litigation as well as the unexpected loss of the patent challenge affected Reddy’s plans to start speciality business in the US generic markets. In March 2006, Dr. Reddy’s acquired Betapharm Arzneimittel GmbH from 3i for 480 million Euros. This is one of the largest-ever foreign acquisitions by an Indian pharmaceutical company. Betapharm is Germany’s fourth-largest generics pharmaceutical company, with a 3.5% market share, including 150 active pharmaceutical ingredients. Reddy’s has promoted India’s first integrated drug development company Perlecan Pharma Pvt Ltd together with ICICI ventures capital fund management company Ltd and Citigroup Venture Capital International growth partnership Mauritius Ltd. The combined entity will undertake clinical development and out-licensing of new chemical entity assets. Dr. Reddy's is presently licensed by Merck & Co. to sell an authorized generic version of the popular drug simvastatin (Zocor) in the USA. Since Dr. Reddy's has a license from Merck, it was not subject to the exclusivity period on generic simvastatin. As of 2006, Dr. Reddy’s Laboratories exceeded $500 million USD in revenues, flowing from their APIs, branded formulations and generics segments; the former two segments account for almost 75% of revenues. Dr. Reddy's deals in and manages all the processes, from the development of the API to the submission of finished dosage dossiers to the regulatory agencies. In September 2016, Dr. Reddy’s launched “Purple Health” in India, a patient centric platform to deliver solutions that address unmet needs of patients. Purple Health will address unmet needs of patients involving four segments: awareness, access (access to medication), adherence (adherence to therapy) and experience (simplified medication experience). The first step in this program will be the launch of new patient friendly packaging for its top 25 best-selling brands, which will be rolled-out in a phased manner over the next six months. The packaging has been designed such that blister packs would have extra space for brand name which ensures easy identification at the pharmacy, a tab at the bottom with expiry date clearly mentioned, and a pictorial representation of the time the medicine needs to be taken. In case of bottles, the measuring cup is now easy to read, and neck of the bottle has been modified to ensure minimal spillage. Purple Health also includes patient support services. For example, someone taking medicines for an advanced kidney condition would be supported by messages and counselling on diet, medicine and so on. In September 2005, Dr. Reddy's spun off its drug discovery and research wing into a separate company called Perlecan Pharma Private Limited. At the time, this was hailed as an innovative move, but in 2008, the company had to be wound down due to funding constraints. Dr. Reddy's was the first Indian pharma company to attempt such an effort to de-couple risk of drug discovery from the parent company by creating a separate company with external source of funding. Perlecan Pharma was partially funded by ICICI Venture Capital and Citigroup Venture International, both of which held a 43% stake in Perlecan for an estimated $22.5 million. However, the company was forced to buy back the Perlecan shares from ICICI and Citigroup due to doubts regarding the commercial viability of the drug candidates that were in Perlecan's pipeline. At that point, Perlecan became a wholly owned subsidiary. In the board meeting of 23 October 2008, the company chose to amalgamate/absorb Perlecan, thereby making it an in-house research facility, as it was before 2005. In 2009, the company did a U-turn and has handed over discovery research and related intellectual property to its Bangalore-based subsidiary, with the possibility of spinning it off as a different entity altogether. "The company may be hoping to find a strategic partner in the future to share the risks and research funding." In June 2011, certain lots of Dr. Reddy's generic simvastatin tablets were recalled due to tablets having a "musty" or "moldy" smell. On June 24, 2014, the New York Times published an article "Warning Unheeded, Heart Drugs Are Recalled" in which it said another large Indian manufacturer and "Dr. Reddy's Laboratories, have announced recalls over the past two months totalling more than 100,000 bottles" of "a widely used heart drug, Toprol XL" "because their products were not dissolving properly". In December 2014 the FDA issued a Form 483 letter over concerns discovered during an inspection of its Srikakulam facility. No specific violations were mentioned in the letter. ^ "Dr.Reddy's Laboratories Ltd Results". ^ Dr Reddy's Laboratories 2007-2012 – MarketReports.com 2007 life sciences research report, Technology Networks, Sudbury, Essex, UK Archived 19 January 2010 at the Wayback Machine.Accessed: 2007-08-22. ^ Dr. Reddy's Laboratories Limited Says Not To Sell Any Business-DJ, Reuters news agency, 23 March 2010.Accessed 2 October 2010. ^ Pfizer in talks to buy DRL’s formulations business in India, NDTV, New Delhi, 23 February 2010.Accessed 2 October 2010. ^ Dr Reddy's develops generic version of Pfizer's Lipitor, Business Standard, New Delhi and Mumbai, 7 November 2009.Accessed 2 October 2010. ^ Pfizer Sues Dr Reddy’s Over Cholesterol Drug ‘Lipitor’ , Stock Watch, Mumbai, 12 November 2009.Accessed 2 October 2010. ^ AstraZeneca Partners with India's Torrent Pharmaceuticals, Pharmaceutical Technology, Iselin, NJ and Chester UK Archived 11 July 2011 at the Wayback Machine.Accessed 2 October 2010. ^ Dr. Reddy's Laboratories will no longer produce its medicines in Russia – Pravda.ru 8 February 2005.Accessed: 2011-11-28. ^ Editorial, Reuters. "Dr Reddy's to buy some UCB brands for $128 million". reuters.com. ^ Pilla, Viswanath (28 March 2016). "Dr Reddy's enters into licensing pact with US-based XenoPort". livemint.com. ^ www.ETHealthworld.com. "Dr. Reddy's launches patient-centric Purple Health initiative - ET HealthWorld". ETHealthworld.com. ^ a b "Dr Reddy's launches 'patient-friendly' packaging on certain medicines - Times of India". indiatimes.com. ^ a b "Beyond the pill: Dr Reddy's rolls out patient-centric Purple Health initiative". thehindubusinessline.com. ^ a b Perlecan highlights R&D travails of Indian pharma , 17 October 2008.Accessed: 2009-10-18. ^ DRL moving research arm to Bangalore unit 22 May 2009. Accessed: 2009-08-20. ^ "FDA slaps Dr. Reddy's with a Form 483 - FiercePharma". www.fiercepharmamanufacturing.com. ^ "Dr Reddy's API plant receives USFDA 483 with nine observations". in-pharmatechnologist.com.